Hey there! 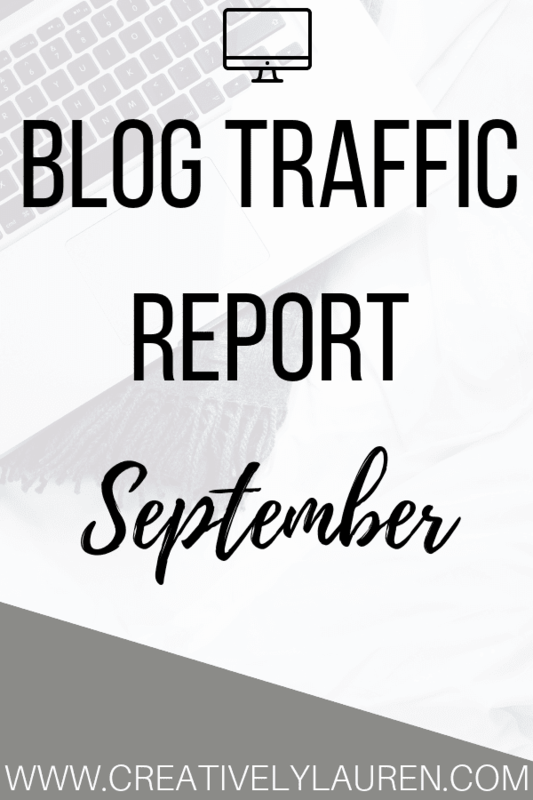 Today I wanted to share my September 2018 Blog Traffic Report. This month’s posting was a little sporadic, I started a new job so I was feeling busy and uninspired. 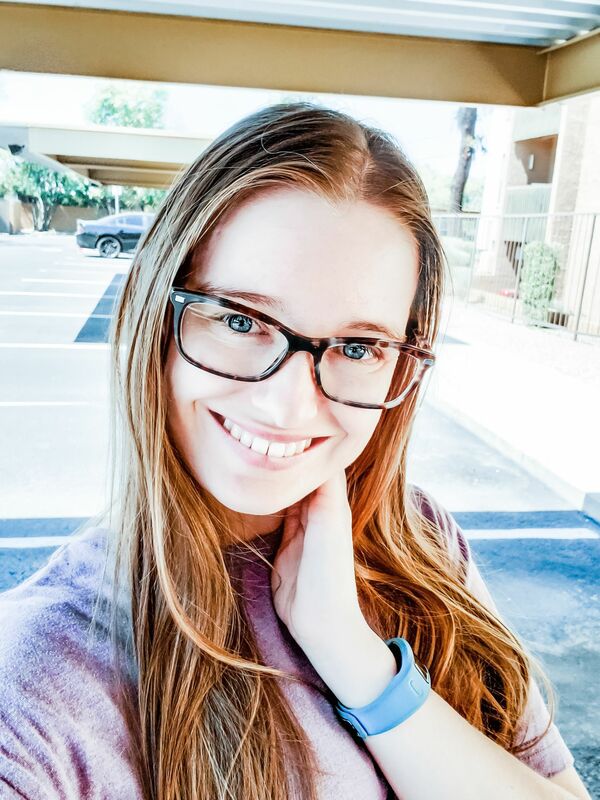 I’m hoping to do better in October though and come out with awesome fall content! This month I had 1,274 users and 1,368 sessions that resulted in 1,887 pageviews. This month was pretty good, not as good as last month, but you can read about that in last month’s traffic report. For Twitter, I ended the month with 15,200 impressions and 980 followers, which is on par for my normal months where I let me Twitter auto-post. I still am using Google Calendar and IFTTT to schedule my tweets for me. I did finally go through and change up the content that I wanted to share. I can’t wait to see how it helps (or maybe not)! I ended the month with 56,942 impressions and 47,032 viewers total for the whole month. That rounds out to an average of 1,898 impressions and an average of 1,568 daily viewers for all of my pins. I also ended the month with 1,736 followers, which was an increase of 99 followers from last month, which is on par with last month. 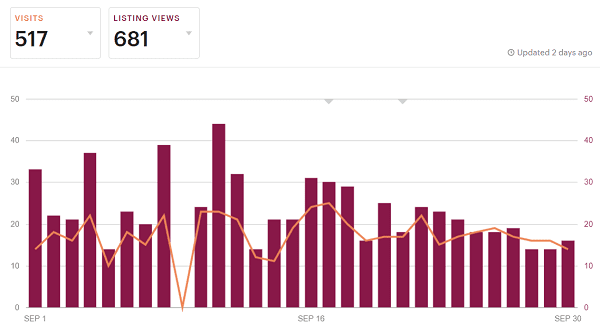 I also ended the month with an average of 138,120 monthly viewers and 8,138 average monthly engaged users. That is an increase from last month. This is from me manually pinning my pins when I could and then Pinterest just doing the rest. Now, I have to admit, there were some days that I didn’t pin at all, but I’m trying to be better about it. This month I got 90,884 impressions and 85,622 viewers. That means that my pins get 3,029 average daily impressions and 2,854 average daily viewers. This is also on par with last month, even though there was a bit of a decline. I ended the month with 517 visits and 681 listing views. I also had 28 favorites, and they were all listing favorites. This month I had 2 sales which is on par with last month.